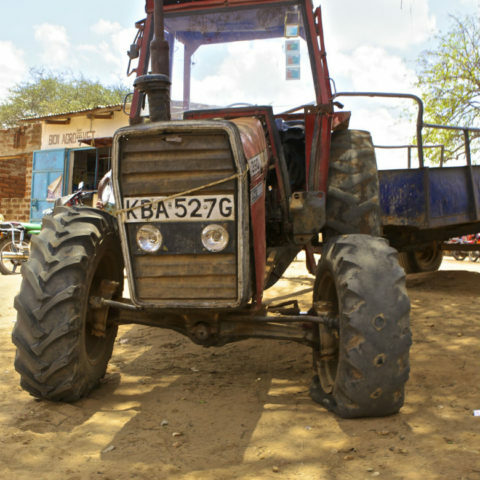 Compared to most households in her community in Makueni, Magdalene has been doing pretty well. She earned most of her income in the Diaries from selling clothes on market days around the county. There were ups, like the big boost from Christmas season sales, and downs, like during teacher strike when her teacher customers’ budgets suddenly became very tight. 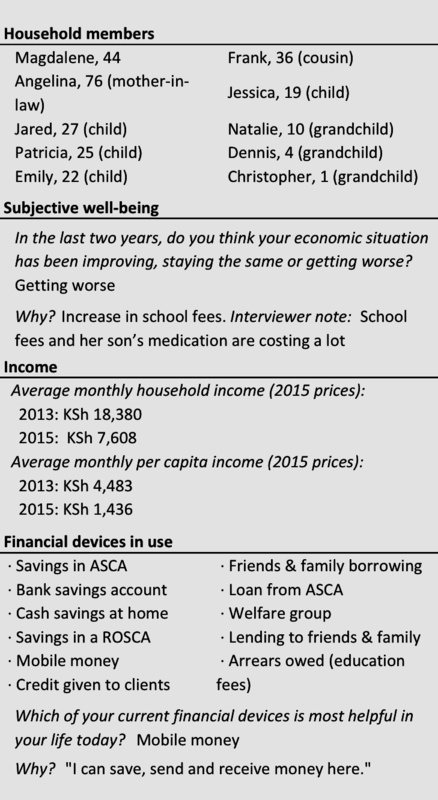 But with the business and the proceeds from her mango and orange trees, she earned an average of KSh 16,180 per month (KSh 18,380 in 2015 prices) in an area where the Diaries median household earned an average of just KSh 4,666 per month. But even this income wasn’t enough. Magdalene’s husband died in 1998, leaving her alone with four children and a mother-in-law to take care of. She knew she would have to find some way to support the family, leading her to start this business of selling clothes. By 2002, things were going really well. The business had picked up and some of the children still hadn’t reached secondary school. But one-by-one, they entered secondary school. Then one-by-one, they graduated and were looking to do tertiary training. After the Diaries, two other daughters finished secondary school. The older one who finished first was accepted to Mt. Kenya University, where she is doing a degree in banking. Magdalene has to come up with KSh 100,000 per year for fees and expenses just for this one child. For the first year, she used KSh 60,000 from her savings (mostly savings in the house) and got some extra help, KSh 20,000 as a gift from a family member. She still owes the university KSh 20,000. This heavy burden means that the other daughter’s education is on hold. That daughter was accepted into a nursing programme that will cost KSh 300,000 for the entire course. Magdalene isn’t sure how to make that happen just yet. Right now, she says the most she can manage is one child’s tertiary education at a time. With a monthly income of less than KSh 8,000, Magdalene has to come up with KSh 100,000 per year for education fees and expenses just for one child. Her eldest daughter finished the teacher training course she was doing in the Diaries. 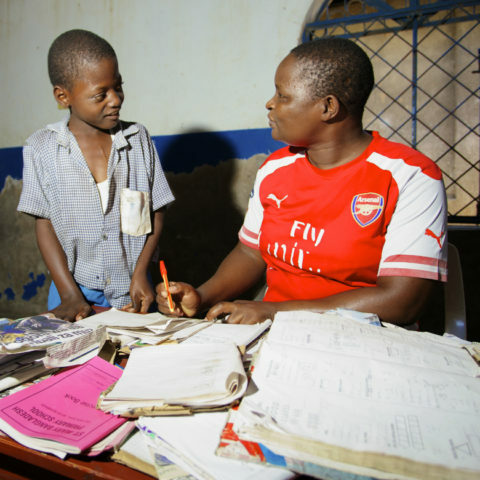 During the study, Magdalene had helped her daughter with KSh 2,000 to use as a bribe at a local school to try and get a position, and that paid off. She was hired as a PTA teacher, but only earns KSh 5,000 per month. It’s small, but she still finds a way to send some of her earnings home to her mother. As expensive as these education investments were, she also knew the cost of forgoing them. 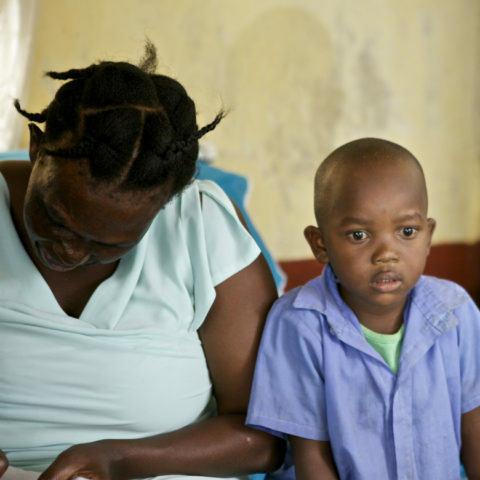 Her son did not go to any kind of tertiary training, and after school began to lose his way. He began drinking, smoking marijuana, and chewing miraa (khat). He began robbing people in the community to get money to support his vices. Magdalene herself begged the police to arrest him, hoping that it would teach him some discipline. After two weeks in a local jail, the police had a chat with Magdalene. At this point, if they kept him in custody, they would have to transfer him to a national prison, a place they told her he would likely continue to abuse drugs and could become a more hardened criminal. Instead, they agreed that he would undergo a treatment program at a cost of KSh 30,000 and be on house arrest for a year. By the time we visited during the Update, he had been clean for one year. But Magdalene was still worried about him. Getting clean was one step. Building a real life with so few skills was another. So, she did everything she could to pay for the university fees and her last born’s secondary fees while she trying to find a way to send her other daughter to nursing school. It was especially tough since her income had dropped. Her son stole the harvest of oranges last year and sold them for his habits. 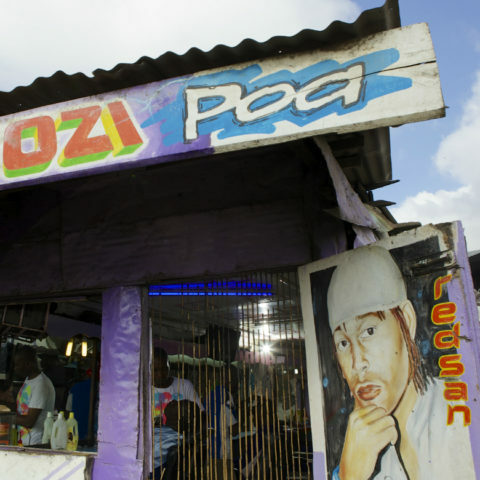 The prolonged teacher’s strike at the end of 2015 made her business nosedive. And, it was a lot harder to keep money for stock circulating in the business; it was always coming out to pay for fees. She had historically been a good saver, putting her lump sums from things like the sale of fruits into the bank directly and channeling smaller bits of savings into two ASCA and two ROSCA groups. 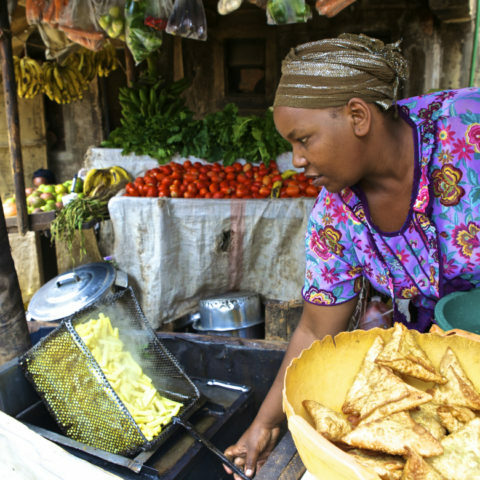 For a time, joint liability loans from a microfinance institution were helping her get money for business while she continued to pay fees. But, the group failed after some members defaulted on their loans, leaving the others to pick up the slack. When we spoke during the Update, she said she was back to just her ASCAs for loans, which just tended to be smaller than the boost she really needed.